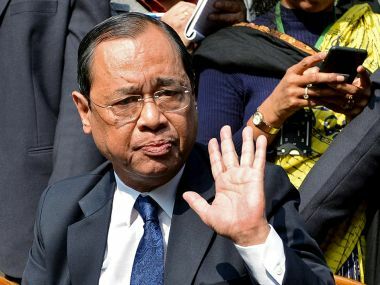 New Delhi: The four senior most Supreme Court judges on Friday virtually revolted against Chief Justice of India (CJI) Dipak Misra, who has been a part of several key and sensitive verdicts including that of confirming the death sentence of Mumbai blasts convict Yakub Memon during a midnight hearing. 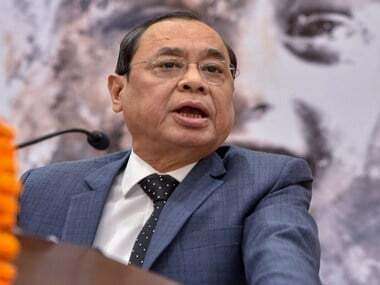 Before being elevated as the 45th CJI, attempts were made to stall his elevation, but Justice Misra took oath as the head of the judiciary on 28 August last year. Misra, who has a 13 month-long tenure till 2 October, has been having a tough time in dealing with his colleagues and often reports have surfaced that there have been serious disagreements between him and other senior judges of the five-member collegium and Justice J Chelameswar has often made his displeasure public. 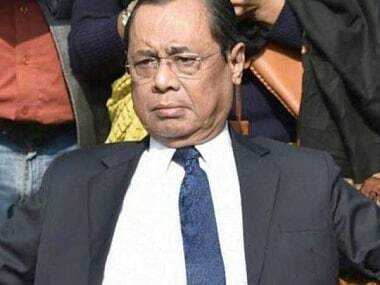 Not only from within, but activist lawyers have also been critical of his functioning which was manifested in a medical college matter when the CJI and advocate Prashant Bhushan had a heated exchange of words in a packed courtroom. 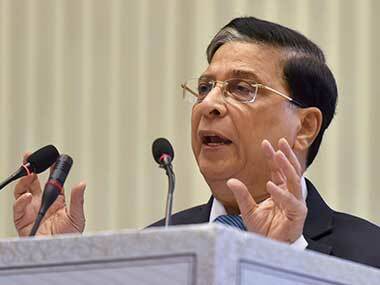 CJI Misra had to hurridely constitute a five-judge bench of his choice after a two-judge bench headed by Justice Chelameswar had ordered setting up of a five-judge bench of senior most judges to hear the petitions by an NGO and a lawyer levelling serious allegations of bribes being taken in the names of judges to get favourable order in a medical college case. The CJI-headed bench had overturned Justice Chelameswar's order and asserted that Chief Justice of India is the "master of the roster". The vexatious Ayodhya land title dispute in the Babri Masjid case, which is being heard by a bench headed by CJI Misra, has also witnessed war of words between Justice Misra and senior lawyers like Kapil Sibal and Rajeev Dhavan. Besides these controversies, Justice Misra, one of the most eloquent judges in the apex court, has been part of several key verdicts, including the 16 December gangrape and murder case in which four men were sent to gallows. He headed the bench which, in an unprecedented pre-dawn hearing in 2015 when the doors of the apex court were opened at 1 AM, rejected last-ditch efforts by Memon to get his execution stayed. He is also hearing several crucial issues such as SEBI-Sahara payment row, BCCI reforms, 1984 anti-Sikh riots, matters related to real estate majors. Justice Misra, who was elevated to the apex court bench on 10 October, 2011, from the Delhi High Court, where he was the Chief Justice, has already presided over several key cases and verdicts. allowed to be crucified at the altar of the other's right of free speech". Justice Misra had also mandated the playing of the national anthem before the screening of films in cinema halls. The order was recently modified and the top court made it optional for cinema halls to play the national anthem before screening of a film. Another significant judgement by Justice Misra was one directing states and union territories to upload FIRs on websites within 24 hours of their registration to enable the accused and others to file appropriate pleas in the courts for redress. Justice Misra, who was enrolled as an advocate in 1977, has practised in constitutional, civil, criminal, revenue, service and sales tax matters in the Orissa High Court and Tribunals before being elevated to the High Court bench. He was appointed Additional Judge of the Orissa High Court in January 1996, after which he was transferred to the Madhya Pradesh High Court in March 1997. In 2009, Justice Misra became the Chief Justice of the Patna High Court and assumed charge as the Chief Justice of the Delhi High Court in May 2010. He was appointed a Judge of the Supreme Court of India on 10 October, 2011.